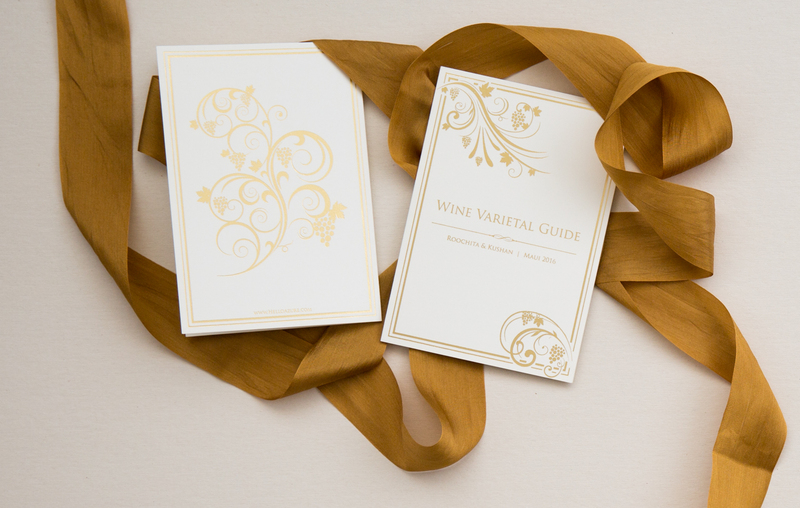 abstract grapevine design, wine varietal guide for Roochita and Kushan’s wedding reception at the Andaz Maui. To facilitate their guests mingling with each other – they had a wine tasting and had different wines at every table. Guests could trade bottles to try different varieties.